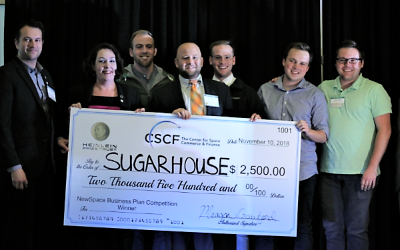 In both our preliminary, online judging and during our in-person finalist events, the NewSpace Business Plan Competition (NewSpace BPC) judges use a 12-factor scoring system. 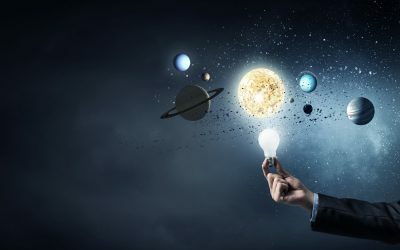 The system has been developed over years of interacting with both entrepreneurs and investors, and has been honed to quickly, yet accurately, provide an overview of the viability of a NewSpace startup. Each round of judging will include a panel of 5+ judges, and each judge scores every team on a scale of 1-10 for each of the 12 criteria for a final total possible score of 120. However, no decision is made by the numbers alone. The numerical scores that are derived from these criteria are merely a starting point for a conversation between the judges, and winners are chosen through debate and consensus. But this scoring system provides the basis for that discussion, and provides a useful way to eliminate participants that receive consistently low scores. So as you prepare your executive summary, it’s important to be mindful of each of these criteria to ensure that you’re addressing all the points on which you’re being scored. But don’t focus too much on just checking all the boxes. Remember, your executive summary needs to tell a story, too. For more on that, read our recent blog post, What Makes a Good Executive Summary? Both #1 and #12 on our list are comprehensive scores, meant to assess the overall viability of 1) your executive summary and 12) your business idea. These scores are a way for the judges to indicate their overall, gut feeling about the submission, so this is where the ‘story’ element of your submission is extremely important. Can the judges clearly understand your business, your revenue model, and the customer need for your product? Have you convinced them that you have a viable business? Criteria #2 and #3 address the management team and their ability to execute the business plan. In these categories, the most important topics are the experience of the managers and the right skill sets. Be sure to list previous successes and anything that shows your team has a proven ability to execute. If you’re missing any important positions, be sure to explain how you’ll beef up your team after the funding round. Competitive positioning is covered by criteria #4 and #5, and this is typically the area where most NewSpace startups receive low scores. It is VITAL that you understand your competition in detail. A lot of companies, especially in new and developing markets, will dismiss this section saying simply “We don’t have any competitors.” I guarantee this is wrong. You always have competition. Even though there may not be any products in the marketplace that are just like yours, there is always a ‘status quo’ against which you’re competing or even substitutes that might not do exactly what you do… but they are close enough to get the job done. Often your competition is simple complacency – doing nothing. Describe, in detail, how your customers are currently solving the problem your product aims to solve, and clearly and succinctly describe how you are positioned against these current solutions. Is your product better, faster, cheaper, easier? Then describe how you’re going to maintain and improve that advantage. How big is your market? How well does your product fit into that market place? These are the fundamental questions covered by the market criteria, #6 and #7 on the scorecard. It’s important that you specify the details of your specific market. For example, don’t describe a $330B space industry – unless your product can be marketed to the entire industry (hint: while anything is possible, most companies can not market to all levels of an industry efficiently). Instead, describe your specific market sector, its’ current size, and its’ projected growth over the next 5-7 years. The most important part of this section is convincing the judges that not only does a large market exist for your product, but that the market wants your product, so be sure to explain how your product has been customized to be a great fit for this customer group. Many entrepreneurs are tempted to devote their entire submission to a discussion of their technology. However, this is not a technology competition. It is a Business Plan competition, and the majority of your submission should be dedicated to discussing the business you’re building to manufacture, distribute, and profit from your technology. What the judges are looking for with criteria #8 and #9 is a brief overview of how your technology works, its’ current level of development (i.e. TRL), and most importantly, how that technology is being productized with the customer in mind. The Financials section is the one most commonly missing from NewSpace Business Plan Competition submissions. Many entrepreneurs are unsure what to present about their financials and how to present such an extensive amount of information in a small space. Please review the example Executive Summary from our recent blog post, What Makes a Good Executive Summary?, to see an example of how best to present this information. In this section, the judges are looking for an overview of your expenses and revenue for the next 5-7 years, as well as an understanding of how you’ve used any funds that have been raised to date. Additionally, the judges will want to understand how much money you’re asking for and how you plan to utilize that capital to create a return for your investors. As you put together your executive summary, it’s important to include all the relevant information so the judges can score you on all 12 criteria. The biggest mistake competitors make is leaving out important sections, which results in scores of Zero for several of the criteria. Don’t let such a simple mistake hamstring your opportunity to compete!